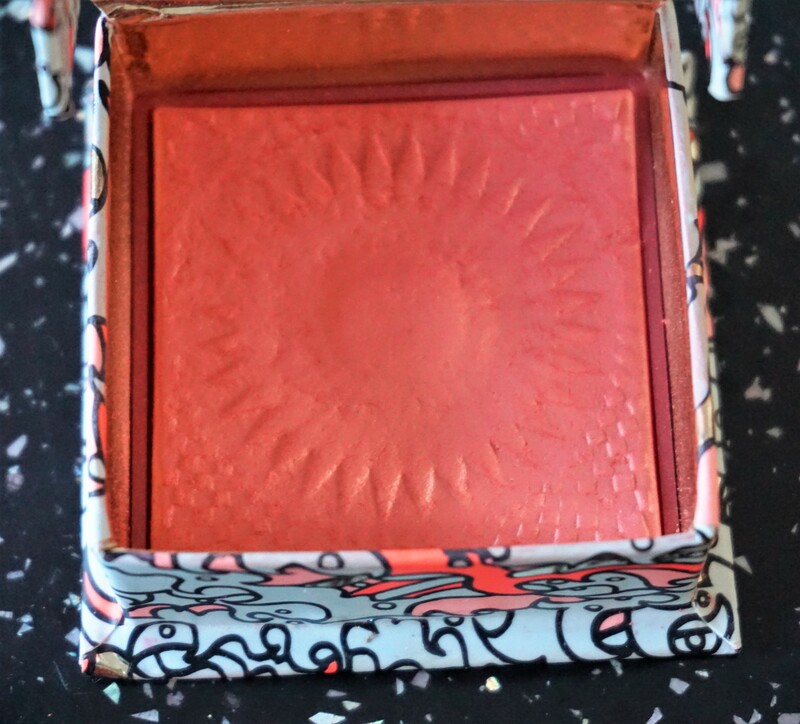 Benefit’s new blusher, Galifornia, is one of my favourite new go-to products for giving me a little ‘pick-me-up’ and that holiday feeling. This blusher adds a fresh, golden-pink glow to my cheeks and transports me to tropical climes with its fresh tropical scent. Interested in reading more about other Benefit products? Click here to see other posts on the site. You can also find posts on Benefit by going through ‘Faves, Hauls & Brands/Brands’ on the menu tab. Galifornia comes in Benefit’s regular boxed blush packaging, with a box housing the blusher, a mini brush and a flip top lid. 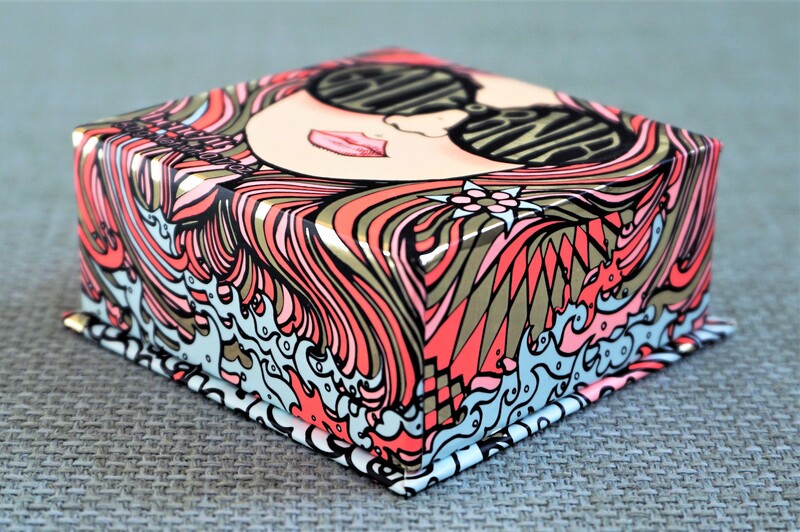 The box itself has a print which is meant to be inspired by ‘vintage Californian surfer girls’ (as mentioned on the Benefit UK site). with shades of aqua, coral, pink and gold. 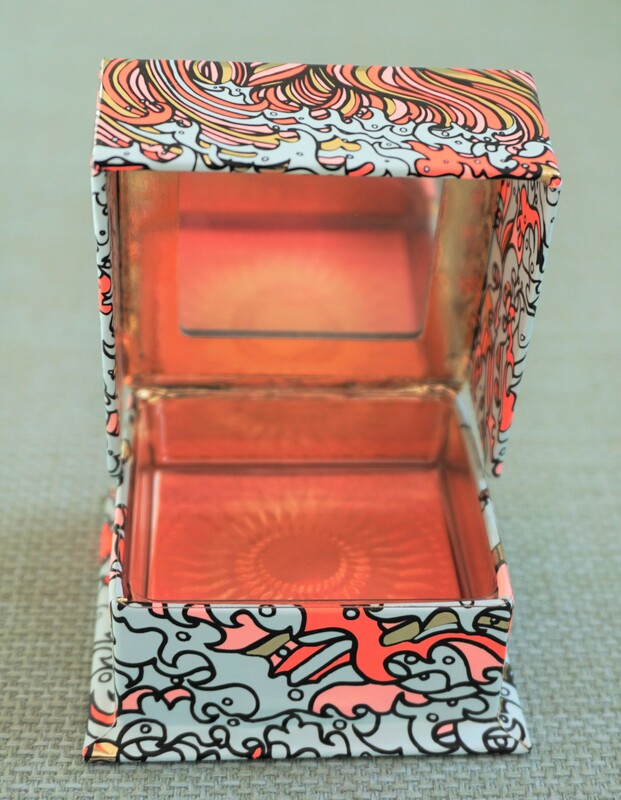 The top lid states that the box contains 5.0g/0.17oz of product. 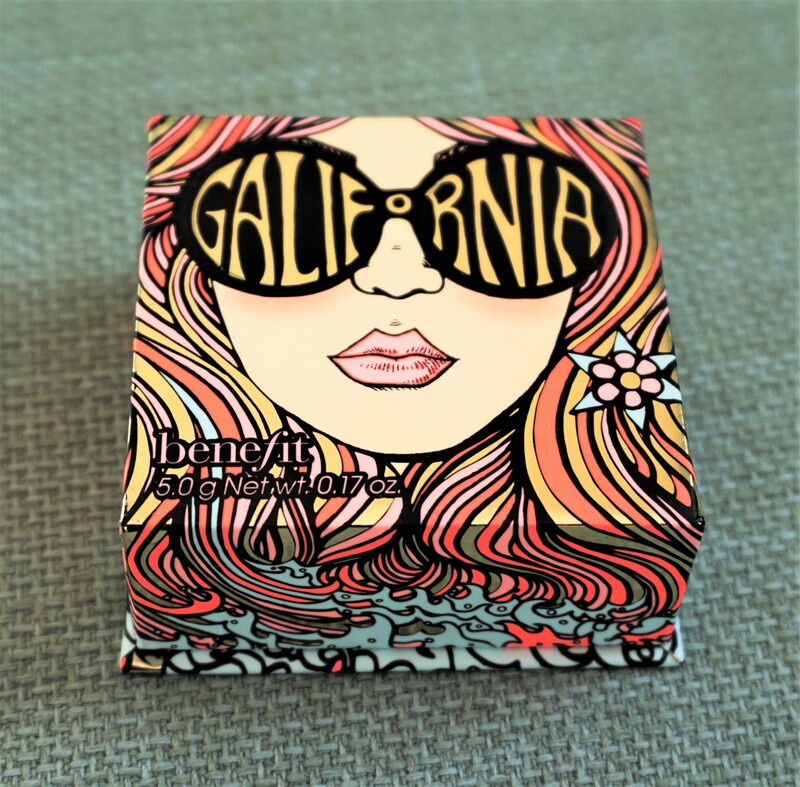 The bottom of the box states ‘Livin’ the GALifornia dream!’ and ‘Sweep this golden-pink blush onto cheeks…it’s part sun, pure fun’. The bottom part also includes the ingredients list for the product. The top lid flips up to reveal the contents of the box. The inside of the top lid contains a handy little mirror. The bottom part of the box contains a mini brush on top of the blusher (which sits in a little plastic tray) and the blusher itself. 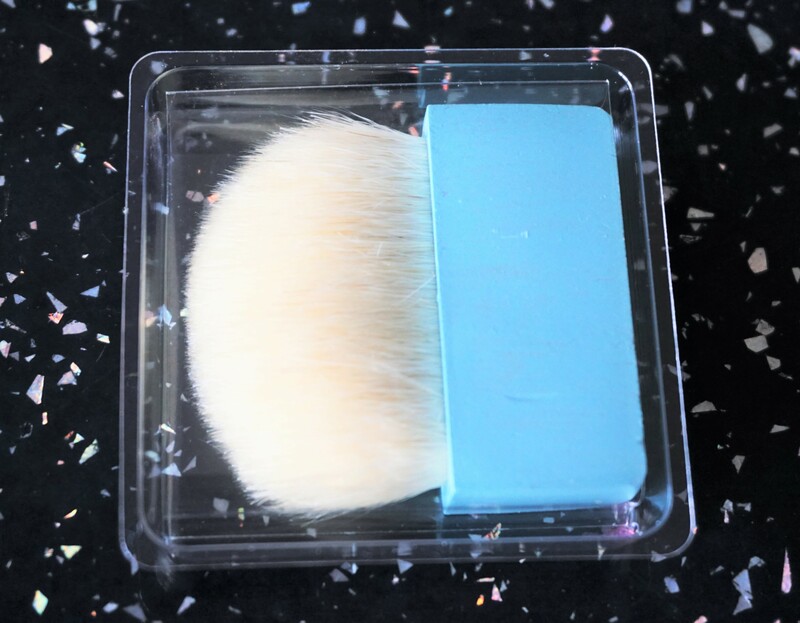 The box itself lends itself well to a day out or travel, as you can just put it in your bag and know you have your blusher, mirror and a brush for application all in one tidy little casing. I like that the brush comes in a tray, as it stops the brush from getting powder all over it. I don’t generally use the mini brushes for day-to-day application as I prefer to use a full sized blusher brush. However, I find the brush comes in really handy on days when I know I will be out all day and want to freshen up my blusher without having to take a separate, full sized brush. 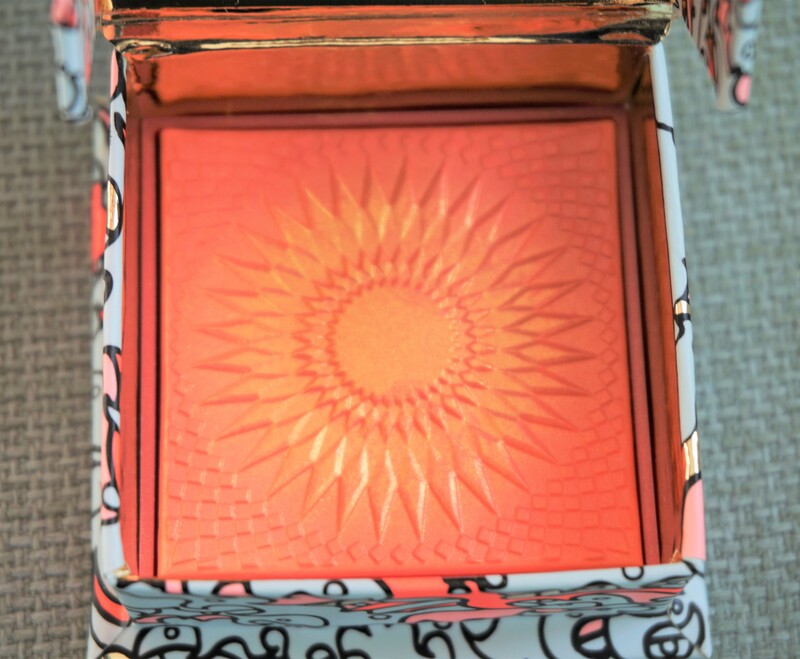 There is a sunshine design imprinted on the blusher to tie in with the ‘Galifornia’ vibe of the product. It’s worth noting that the gold part is an overspray which comes off after a couple of uses. 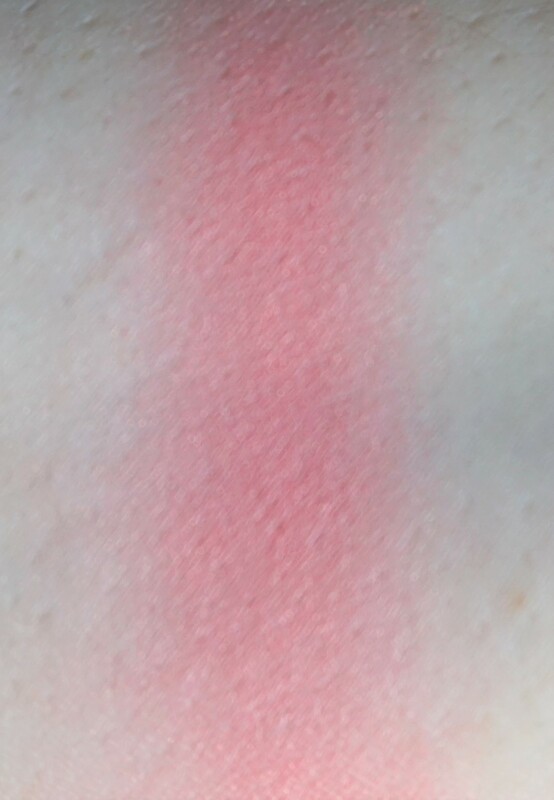 The sunshine design lasts through use but is coloured in the same way as the rest of the blusher. The blusher itself is a really pretty pink colour with a gold hint, making cheeks look really glowy. The Benefit UK site describes the scent of Galifornia as pink grapefruit and vanilla. To me, Galifornia smells more like pineapple and coconut; I don’t really smell vanilla or grapefruit so much from it. I really like the smell, as its really fresh and tropical and gives me a real ‘pick-me-up’ whenever I use it. I can smell the product when I swirl my brush into it and apply it to my cheeks. I don’t find that I can smell the scent after application to the cheeks, which might be appealing to those who like the blusher but don’t want to smell pineapples and coconut all day. 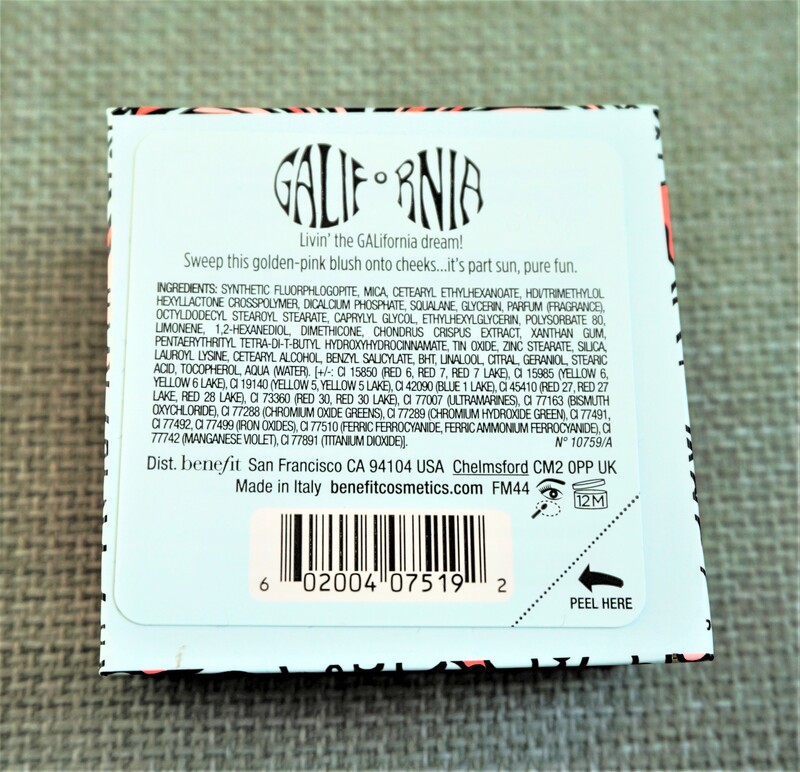 Galifornia reminds me a little of one of my other favourite Benefit blushers – Bellabama – which has been discontinued (at least in the UK). Whilst the two products do have their differences, there are some similarities which I think would make it appealing to those who loved Bellabamba and are looking for a good alternative. Both blushers share the same sort of pretty pink hue which imparts a beautiful, fresh glow to the cheeks. The main differences I can see are in the finish and scent. Bellabamba had more shimmer and sheen, whilst Galifornia has more of a satiny glow. Bellabamba had a watermelon scent, whilst Galifornia has the pineapple and coconut (or grapefruit and vanilla!) scent. 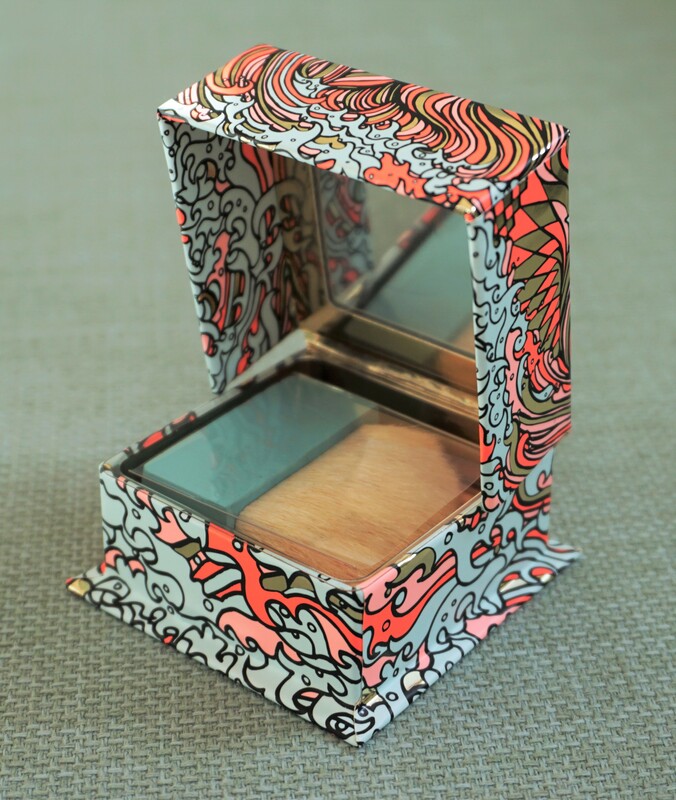 Have you tried Benefit’s Galifornia blusher? What are your thoughts on this product? Any other Benefit blushers that you love? Let me know your thoughts in the comments section below.